Need to humidify a small to medium sized home in Maineville, Morrow, Lebanon, Mason or Loveland, Ohio? The Aprilaire Model 500 humidifier is perfect for you! This whole-house humidifier features a built-in bypass damper and is designed for use in small to medium sized homes. 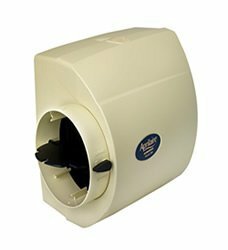 The Aprilaire Model 500 bypass humidifier is an economical, proven performer in the extensive line of Aprilaire Humidifiers. Choosing the right humidifier for your home is an important decision and investment. Let Rick’s Heating & Cooling show you how comfortable your Maineville, Morrow, Lebanon, Mason or Loveland, Ohio home can be with an Aprilaire Humidifier!